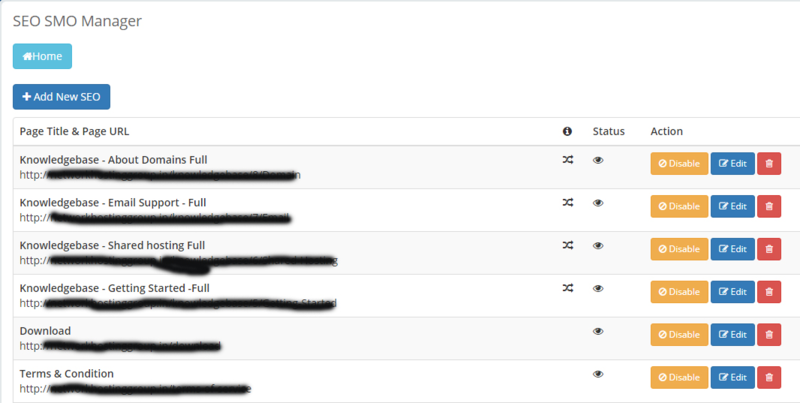 As all we know SEO tag implementing in WHMCS pages is very difficult. So, to solve this issue we designed a tool for your WHMCS application. 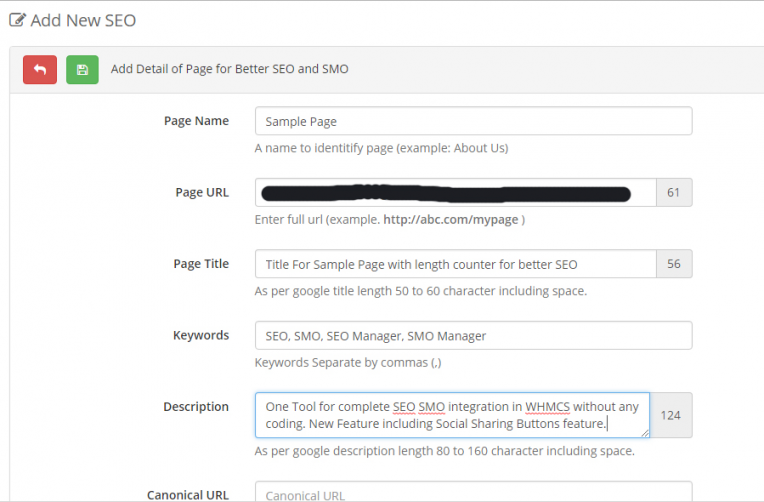 It helps you to define SEO tags to any WHMCS page without changing any code or accessing php files. It is a very simple and more effective tool. 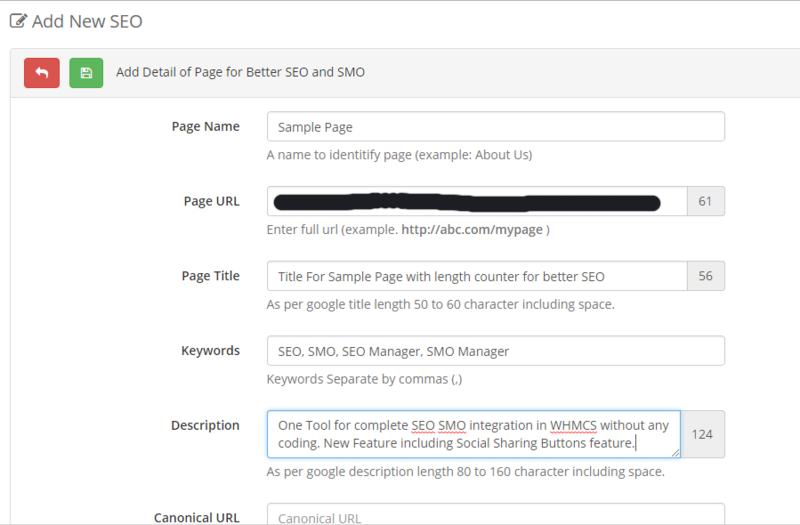 It is not only a SEO manager, this tool includes the feature of SMO implementation, which gives you extra boost on social sharing. Its help you to improve you SEO and SMO. Yearly / One Time purchase. Support & Updates addon can be purchase separately. social sharing button alignment fixed. Length Counter :- For the SEO length of Title, URL and Description is more important. So, we give ability to count the length of title during typing. Social Sharing Buttons :- We also add social sharing feature in this addon so you do not need of any other tool. Its a lite version for social sharing with position defining. If you not interested in social sharing button you can disable it in just one click. New Interface :- In this version you got new interface which allow you check any page on which canonical tag and images applied or not. 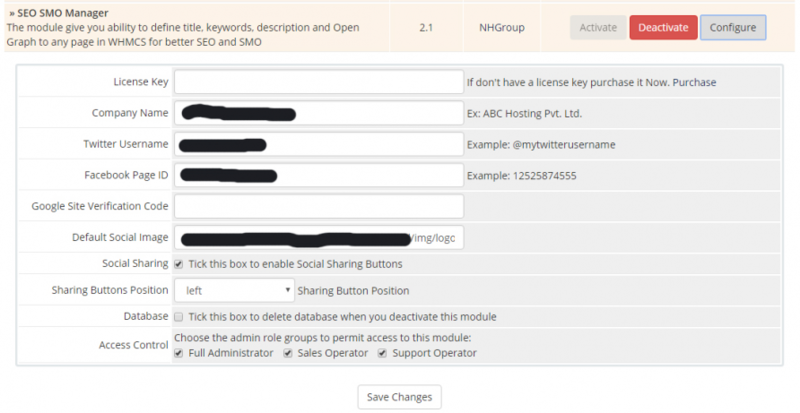 New Tags added :- Few more tags added for smo like Site Name, Site URL and Publisher. Few Bugs Fixed for stability.